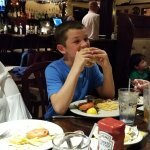 our g,son and the dbl crab cakes and he...Topped off with Key Lime Pie, a wonderf...thoroughly enjoyed dinner, we had surf and turf, prime rib and crab cakes. 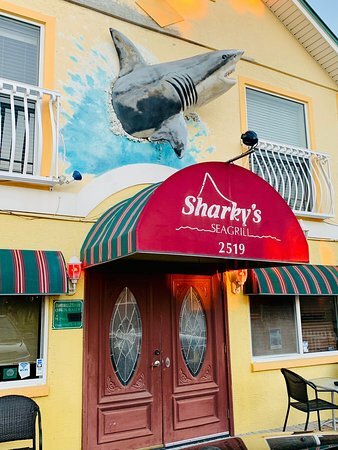 We are very proud to announce, Sharky’s Sea Grill, a Landmark Eatery (est.1998) located on lovely Anna Maria Island, FL, is under new ownership! 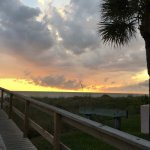 In September of 2016, five friends from Rome, Italy embarked on a journey to a small, beautiful island located on The Gulf Coast of Florida. 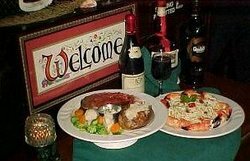 Cristina, Mario, Sylvia, Emilio and Nadia bring classic Italian recipes, directly from their own family kitchens, while maintaining traditional American cuisine. 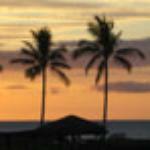 They invite you to join them, in their new “Home-away-from-home” and become part of their new, extended “Island Family”! 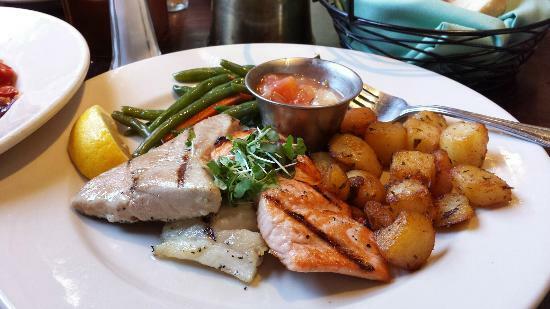 From Our Family to Yours, Buon Appetito! 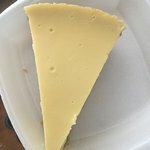 Dalla nostra famiglia a te, Buon Appetito! Ate here on our first night on Anna Maria. Looks like a bar, but better than bar food. Husband had a steak, I had delicious shrimp fettucini. All good! 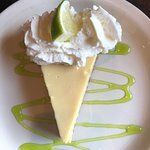 Consistently excellent and great variety of options! Had a great dinner with friends here. A nice bottle of wine and the mahi mahi encrusted in macadamia nuts ( I think this is correct) along with a side of broccoli. Delicious, try this place for good seafood. We stopped there two nights for pre-dinner cocktails. The bartenders were just fantastic!! Drinks were pretty darned tasty too. Had a smoked salmon appetizer that was really, really good. 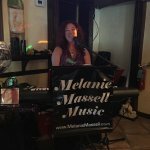 And entertainment Wednesday!!! New owners don’t have a clue. Aloof, confrontational bartender should retire or go to rehab. Classic example of how to take a former owner/operated gem into the abyss. Our visit is the last for those of us who supported the off-season. 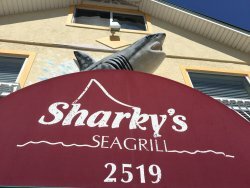 Get quick answers from Sharky's Seagrill staff and past visitors. 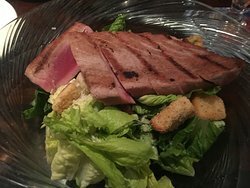 What gluten free options are available? There are no newer reviews than 2015? This is now January of 2017, what happened to 2016 reviews? This might be a cause for concern, at least as far as helping out hungry customers. Not sure why there was a gap in reviews. 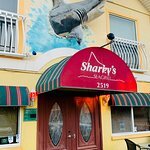 Our first time to this area and first time to Sharky's but I can tell you that the prime rib was first rate and the service very good.